After some seconds away from my chair I get back to find there are cat hairs on it. So I do what any sensible person would do: I sit on the floor. 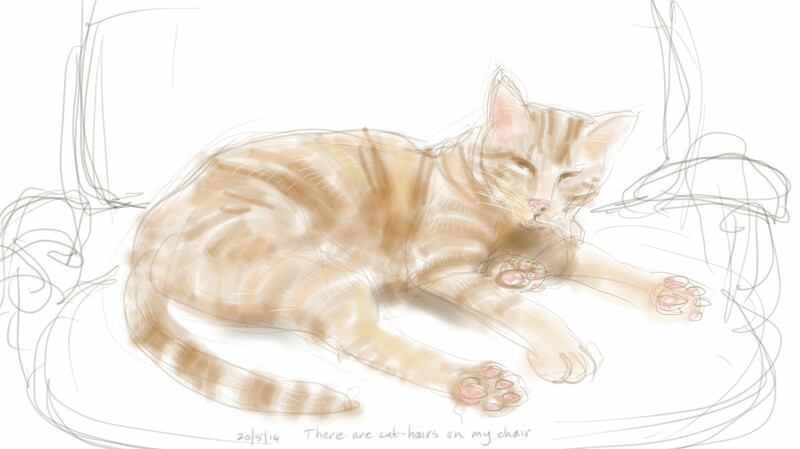 This entry was posted in Cats and tagged art, arthur cat, cat, cat-of-the-day, digital painting, digital sketch, drawing, ginger, samsung galaxy note 3, sketch on May 20, 2014 by Nancy Farmer. Ah, this chair is not very well suited to that manoeuvre: they find it has to be tackled front on, by standing / sitting on me or the computer….